Amanda Alequin, also known as Amanda Santana and as “Tubby”, is a Brazilian jiu jitsu black belt under Márcio “Pé de Pano” Cruz, being also one of the top middleweights competitors of her generation, known particularly for her relentless submission orientated grappling style. 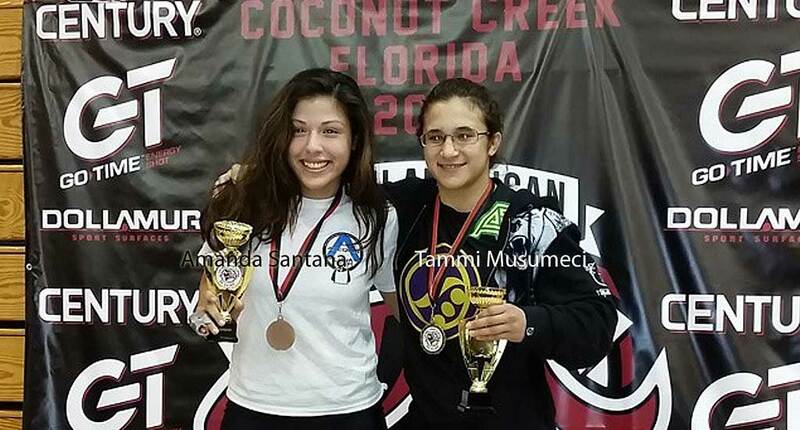 Originally from Brooklyn NY, Amanda made a name for herself competing in Florida’s grappling circuit, later being acknowledged internationally through important wins at the World Championships, Pan Americans and ADCC trials. Nickname: “Tubby”, the name comes from Amanda’s childhood days due to her size. Before she hit puberty she was 4’11” and weighed 180lbs, as she leaned out during her adulthood the name remained. Amanda Elouise Alequin (formerly known as Amanda Santana) was born on August 19, 1994 in Brooklyn, New York – United States of America. We lived in a rough neighbourhood in Brooklyn and my dad was always big on self defence. Plus I grew up with 2 older sisters and a little brother, so every time we fought he would make us boxe it out. – Amanda Santana (2016). At the age of 13 Amanda and her family moved to Florida where she continued training boxing and a bit of mixed martial arts (MMA). At one point her brother started practising Brazilian jiu jitsu. 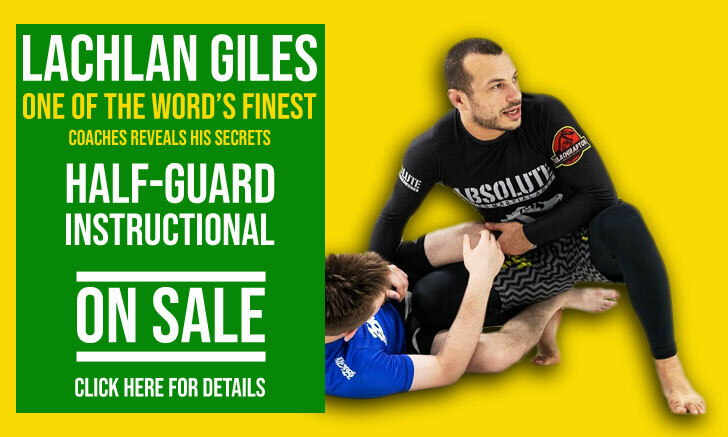 It was through her brother’s demonstrations of joint locks and BJJ manoeuvres at home, that Santana became curious about jiu jitsu, particularly an episode when he kimura locked Tubby from closed guard. Amanda started practising jiu jitsu at the age of 15 with Jerre Norton, a black belt under Eduardo “Veio” de Lima. 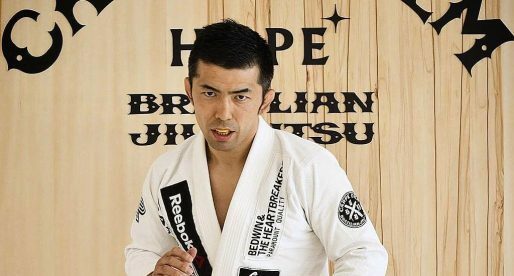 Norton awarded Santana her blue and purple belts, though after a family disagreement with the coach, Tubby switched instructors, joining Márcio Cruz‘ academy. 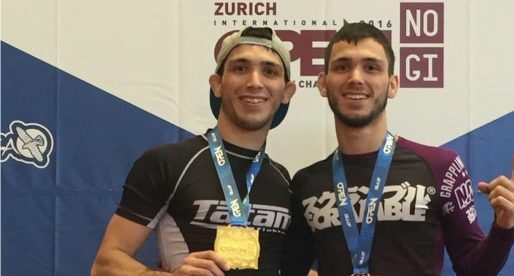 Santana already knew Cruz, having spent a few training camps with Pé de Pano’s team, making the transition an easy process. In 2015 Amanda Santana broke out internationally, winning important titles such as the IBJJF World Championship (double gold) and the USA ADCC trials. During the ADCC finals in Sao Paulo – Brazil, Santana did exceptionally well against the cream of the crop of jiu jitsu, taking the most accomplished female athlete of all time, Gabi Garcia to a decision loss. Although she worked hard as a kennel technician for a veterinary clinic, Tubby always managed to maintain a solid competition record throughout her brown belt campaign, earning her black belt from coach Marcio Cruz on June 25th 2016. Amanda Santana is also married to Team Nogueira’s Eric Alequin, MMA and BJJ competitor. Amanda is the future of this sport. She will be the game changer as the best BJJ fighter we have seen.